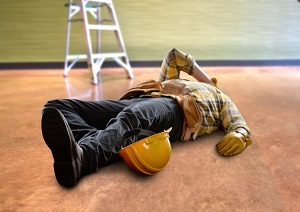 If you are hurt at your job, you may be shocked to discover that your employer is a non-subscriber employer not required to provide workers’ compensation benefits. You may also suddenly learn that your employer considers you an independent contractor rather than an employee. However, your employer’s decision to classify you as an independent contractor may not be accurate and could be an attempt to deny you compensation for your injuries. You do not want to blindly assume that your employer’s assertions are correct. Signing an agreement. Some employers have employees sign a contract or agreement stating that they are independent contractors. In Texas, just because you signed such a contract does not mean that you really are one. 1099 Form. Your employer may give you an IRS 1099 Form instead of a W-2. However, this may just mean that your employer used the wrong form, not that you are an independent contractor. Not receiving a paycheck. If your employer does not pay you a regular paycheck, this does not define your employment status. A worker is considered an employee based on a number of factors, including an employer’s right to control the worker’s work and when, where, and what times work is to be performed. These rules apply even when the employer doesn’t exercise his right to control your workflow. Having an EIN. Some employers require employees to file paperwork to get an Employer Identification Number (EIN) or to obtain a business name to be paid their wages. This does not define whether you are an employee. Working from home. Working from your home or telecommuting does not make you an independent contractor. Many employees have this work arrangement in Texas, and their employment status does not change because of this. Being an independent contractor in the past. While you may have started working for your employer as an independent contractor, your employment relationship may have changed into one of an employee over time. The fact that you were once an independent contractor does not define you forever. Were you injured at work? Is your non-subscriber employer trying to claim that you are an independent contractor? Let us help you fight to be classified correctly as an employee and to obtain the compensation you deserve for your injuries. Contact us online or call our office directly at 817.380.4888 to schedule your free consultation. ?How much is my non-subscriber workplace injury case worth? ?Can I represent myself in my non-subscriber workplace injury case? ?How much will it cost to hire an attorney in my non-subscriber workplace injury case?